Because it sometimes takes hours, or even days, for all airlines to enter new no-fly listings in their reservation computers […] Homeland Security does maintain procedures for sending out what amounts to an APB about the new listing….However, the officials said, at the FBI’s request, some, but not all airlines, were notified of the new listing. The official said the FBI was concerned that giving out Shahzad’s name to too many people might fuel news leaks that grew into a torrent during the afternoon of May 3. 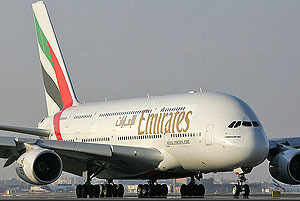 Among the airlines that were not phoned with the APB about the new no-fly listing for Shahzad: Emirates Airlines, the very carrier Shahzad had chosen to try to evade a massive dragnet by the FBI and various local partners, including New York Police Department, had set up to collar the Times Square attack suspect. Was this the right call? Beats me. But it sounds like a policy issue, not a screwup.